You can read my take here, on the NonProphet Status blog. A sober, thoughtful analysis. Thanks Mike. (1) Simply because something’s new doesn’t mean it’s wrong. As much as I hate the trend of “if it’s new, it’s better, truer, etc.,” the same goes in reverse: “if it’s old, it’s better, truer, etc.” It’s a not an argument, but an observation. Furthermore, anyone, standing from this point in history, can attempt to justify their current position by looking back to the past — whether that be an individual, a movement, a nation, or a church. Who gets to be the judge of the validity of their historical analysis? (2) Who is to say he doesn’t follow his own hermeneutic? Does every viewpoint necessarily need to be taken to its absolute forms (unless, of course, he does say that every bit of the Bible — every bit of poetry, including, for example, Wisdom crying aloud in Proverbs — is to be taken literally)? There are always balances people walk, choices they make in the balance of their interpretations. If Ken Ham wants to apply his hermeneutic to the Genesis text in his way, fine, but he ought to give a reason why. (3) You know, some people are just crazy enough … to be Young Earth Atheists. http://panufo.blogspot.com/2010/10/young-earth-atheism-yea-ideas-whose.html — but actually, this point is great. The question of what/who has ultimate authority over an individual’s interpretive lens must be answered before meaningful debate can develop. (4) PREACH. Next step: how do you invite YEC Christians on this possibility? 1) You’re right, just because something’s new doesn’t mean it’s wrong. Ham and many young-earth creationists, however, usually say their position is right because it is older than the alternatives. For example, his ministry views old-earth creationism and theistic evolution as recent and dangerous compromises. 2) I hear you. I think there are many other examples, though, of Ham’s arbitrary interpretive choices. 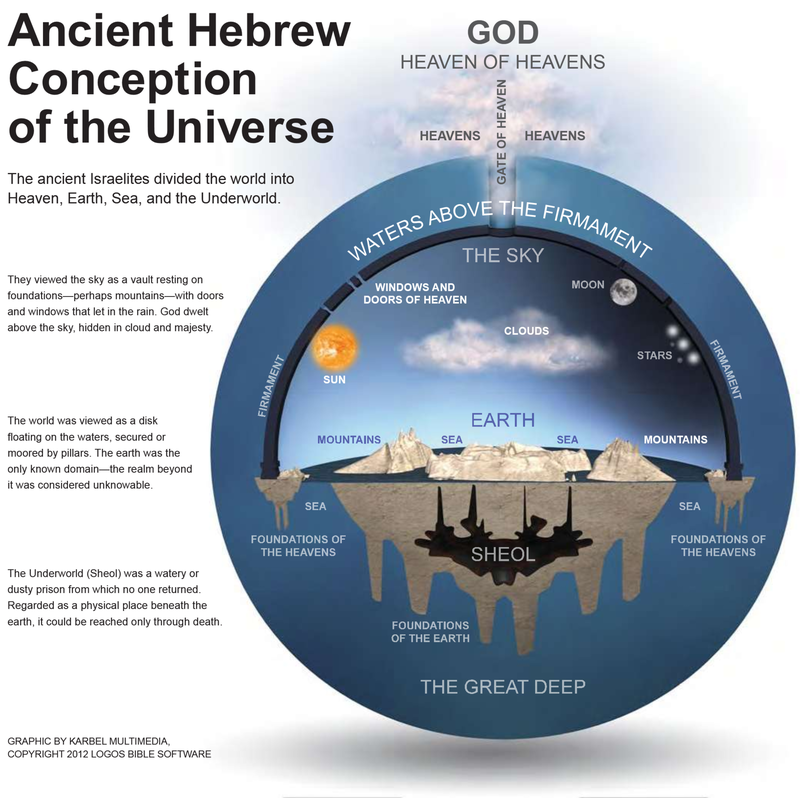 If he were consistent, he’d accept the picture of the world Genesis 1 actually describes. 3) Thanks for the link! 4) Great question. I’d start by affirming what we have in common: God is the creator, humanity is created, and “discovering who Jesus is will melt your face.” (To quote my buddy Dave Straka.) I would then say that part of me admires the strong convictions YEC Christians have, even though I disagree with them. Thanks for stopping by and clarifying. I’m very glad it’s satire.